They’ve added a fair bit of little hints on how to at least get the early game stuff flowing since the initial release. I’d definitely give it another go. There’s also a fairly good spoiler free guide on steam that unfolded a few of the mechanics for me. I need to give CS another whirl, too. My longest run got stuck in an infinite loop of incompetence–I wasn’t dying, but I wasn’t making any progress, either–and I eventually gave up. If you just want a win, there’s a fairly straightforward non cult one I could spoil. I could probably use a spoiler–DM me, I guess, so those who want the joy and frustration of finding everything on their own don’t have to see it. Fired a spoiler missile in your direction. Found this on r/civ today… Aspyr seeming to confirm Rise and Fall AND Gathering Storm for iOS and Switch? @Neumannium, can you confirm? Dammit…I don’t have time for that. I had just made peace with the fact that I probably wasn’t going to be playing Civ VI anymore, and now this. I will see if I can get anyone from Aspyr to officially confirm and, hopefully, snag a date (or at least a ‘soon’ or ‘down the road’, I’m not picky). My first order of business next week will be to kick off an early access program to get people playing the games that GameClub has already updated (which you can sign up for right now by visiting the GameClub website) and along with that my role will be half digital archaeologist and half museum curator of the best collection of premium game experiences anyone will ever see on the App Store. Hmm, good luck with any kind of digital preservation in a marketplace as actively hostile to legacy apps as the Apple app store. And, premium legacy apps, to boot … my heart is with them, but my head is not optimistic. I wish them the best, and I hope (probably pointlessly) that Battle Academy might be playable on the iPad again some day, but I’m not very optimistic. 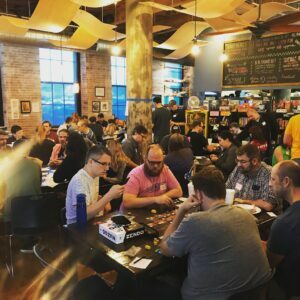 Sign up to be a galaxy trucker today! An adaptation of Vlaada Chvátil’s award-winning board game is now on Steam. Already includes the ALIEN TECHNOLOGIES expansion! Newest PlayStation 4 Firmware Update adds Remote Play via iDevices. I didn’t do remote play when it was possible with the PSVita is this something to bexcited about? It can be nice for turn-based games. I used remote play every once in a while with my Vita. There was some lag, but it wasn’t difficult to overcome with RPGs. Sony was so close to doing with the Vita/PS4 what Nintendo managed with the Switch that it is really sad that they never made more of the technology. I assume the app is free, so it might be worth trying with a game like Disgaea. I read a bit about the app ad it uses either virtual controls or MFi controllers, I believe, though some buttons will be missing. If you do try it out, let us know. Diablo 1 is available on GoG now. I believe Blizzard has plans for other classic titles releasing on GoG. As I am loathe to play games with DRM, I find this pretty cool. That sounds like I can clean another couple games of my amazon wishlist and pick up the digital versions instead. Had Viti, Charter, and Wingspan on my list. 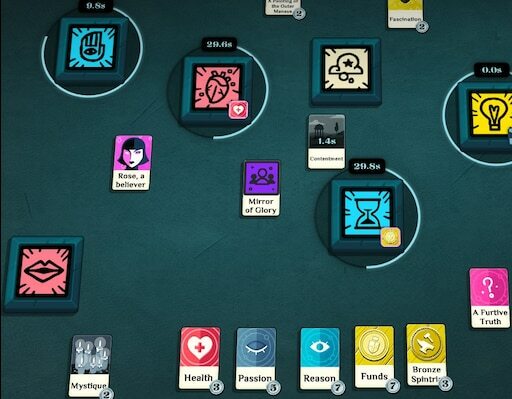 Well, a great deal of the joy in Charterstone is opening new stuff up as the game goes along. There are a lot of plain white boxes of different sizes in the game box, and you open them when told to by things happening in the game, and that’s the fun of it. It’s got a satisfying tactile feel and high quality components. The actual gameplay itself is ok. I mean, it’s not bad, but it’s not great. And there are (were?) numerous rules issues that are FAQ’d that must be overcome (that I assume the digital version will fix). I’m mildly curious to see how they will try to translate that to digital, but opening digital mystery boxes and adding digital stickers to the board and cards feels a lot less exciting to me. Personally, I tend to be happy owning both physical and digital versions of games as long as digital costs remain low enough to support this double-dip.